Searching for a family or divorce solicitor on the internet can be an unnecessarily daunting and confusing task. To help you in your search, and as a visitor to our website, we can offer you the following guarantees. It’s worth noting that not every firm you find on the internet is what they say they are. Some will avoid using the term “solicitor” but use descriptions like “Legal Consultants”, “Legal Advisers” etc. and some also act as “McKenzie friends”. You can check if the firm is genuine by searching the Law Society Roll on http://www.lawsociety.org.uk/for-the-public/using-a-solicitor/find-a-solicitor/. Brookman has also been awarded the Law Society’s quality mark, Lexcel. The Lexcel practice management standard is only awarded to firms that meet the highest management and customer care standards. We are re-verified by Lexcel every year. Additionally, Brookman is ranked by the Legal 500, which is an independently researched list of the most highly regarded and talented law firms. Finally, Brookman has an ever-growing list of reviews from past clients publicly published on Google. You can read our reviews here. Our clients deserve the utmost discretion and confidentiality. Our website uses an SSL certificate which encrypts any personal information you may send to us via our website forms. We also guarantee to not use your personal information for subsequent marketing communications. This means that your details will not be added to a marketing list and nor will you see online adverts for Brookman on other websites you visit simply because you have visited our website (commonly known as ‘remarketing’, these adverts can cause awkward situations if you share your PC or tablet device with your partner). Almost all communications and enquiries we receive via our website are responded to within a matter of working hours. All of our replies to questions or enquiries are drafted by a legal professional on our team, we do not employ ‘client managers’ or sales people. This means that even in the first instance, your circumstances will be considered by someone on the legal team, often a partner. We also believe that anyone who contacts us via our website should have the opportunity to speak or meet with us to gain some initial advice without it costing them anything. 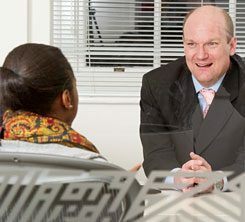 We therefore offer a free initial consultation where you can explain your circumstances, understand your options, and feel comfortable that we are the right firm for you. We are continually adding to the body of advice and knowledge on our website. We have hundreds of pages of information, from country-specific pages for people who have an international element to their situation, to ‘Q&A’ pages that answer the most common issues we see in divorce and family law. You will also see that most of our website’s pages include an ‘Ask a question’ form. This secure form allows you to ask a question of one of our legal team and they will respond to you within a matter of hours.